CAR 2019 is only two weeks away! This year’s annual scientific meeting has dozens of social, educational and networking events for you to attend. The following are just some of the sessions you can participate in. With so little time left in anticipation of Canada’s premier radiology event, we encourage you to register for CAR 2019 if you haven’t already. CT Colonography Workshop: There are only 12 spaces left for this workshop with Drs. Tanya Chawla and Jennifer Sammon. Register for this hands-on, interactive one-day workshop and gain skills to accurately interpret and effectively perform this an advanced medical imaging diagnostic tool, CT Colonography. Click here for details. CAR 2019 app: The app lets you access every detail of the conference. Whether you’re looking for professional profiles, networking events of the entire agenda, you can find it all in the CAR’s Whova app. Registrants will receive an email with details on downloading the app in the coming weeks. The application is available on iPhone and Android devices. Registrants will receive an email with further instruction over the next weeks. Welcome Reception: Kickstart CAR 2019 with the opening cocktail. It begins at 5:00 PM with words of welcome from by CAR President Dr. Emil Lee. The reception will be held at Le Windsor Hotel on April 11, just a block away from the Sheraton. CADTH 5K Fun Run/Walk: Join CAR President Dr. Emil Lee and CEO Nick Neuheimer on Friday, April 12, for a five kilometre run/walk at 6:45 AM. Meet-up for this event, sponsored by CADTH, is in the lobby of the Sheraton. Cocktail with Vendors: After a full day of learning unwind and enjoy cocktails in the exhibitor hall in Salle de bal centre. The CAR will be holding a contest to win a complimentary registration to CAR 2020. The more interaction you have with the exhibitors, the greater your chance to win. CAR 2019 Award Ceremony: Attend the CAR 2019’s finest event, where attendees reconnect with old friends and make new ones. Awards for the CAR Gold Medal Award, CAR Young Investigator Award and CAR Distinguished Career Award will be presented. Also, special to this year’s conference, is the inauguration of the next CAR president, Dr. Michael Barry. The ceremony begins with a cocktail at 5:30 PM, April 13 in Salle de bal ouest. The event is sponsored by MD Financial Management. 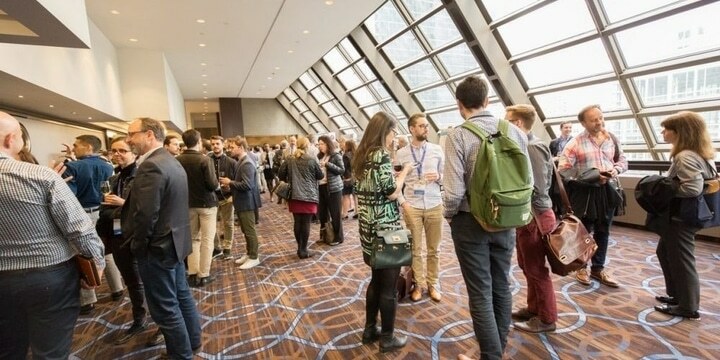 Reception for Radiologists-in-Training, sponsored by AGFA: This special event is an opportunity exclusive to radiologists-in-training to socialize and network with peers as well as the CAR Board of Directors, to make invaluable connections with the radiology community. A Contrarian Radiologist’s Perspective on Value – Will You Know It When You See It? : Dr. Richard Duszak’s opening plenary will provide perspectives on how value has been defined in healthcare (and specifically imaging) in the past, and how physicians (and specifically radiologists) can take a leadership role in both their practices and national policy development. Evaluation of the Solitary Pulmonary Nodule: This plenary will feature Dr. Jeffrey Klein who will use a case-based method to review issues related to the characterization of solitary pulmonary nodules, with a focus on the use of thin-section CT for analysis. Dilemmas in Musculoskeletal Tumor Diagnosis: This plenary will feature Dr. Mark Murphey and will discuss the radiologic appearance and distinction of lipoma versus liposarcoma, enchondroma from chondrosarcoma and hematoma from hemorrhagic neoplasm. This will be an event not to miss. We look forward to seeing you there. Do not wait, register today!